We have all had a good steak. Face it, the “I love Alberta Beef” rings true in all of us, but what sets apart a good steak from a great steak? 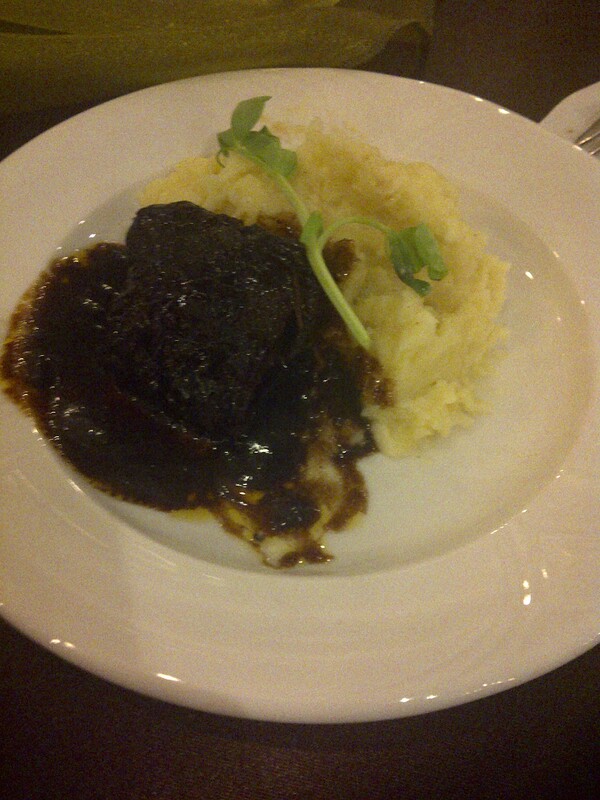 Ladies and gentlemen I give you the Bronzed Rib Eye Steak at Rigoletto’s Café. 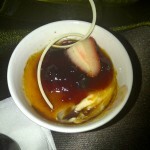 Rigoletto’s steps outside the norm by thinking outside the box, and stepping into a bigger box filled with flavor. There is no teriyaki sauce, sage butter, or garlic butter here my friends. 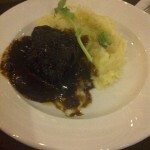 Most places give you the same generic tastes governed slightly different from where the cow was born, raised, or fed. This is all cancelled out when the steak is rubbed down with Montreal steak spice and grilled to your liking. But wait, it gets even better! The marinated rib eye steak that is seared on the grill to your liking is coated with an amazing honey jalapeño butter sauce. 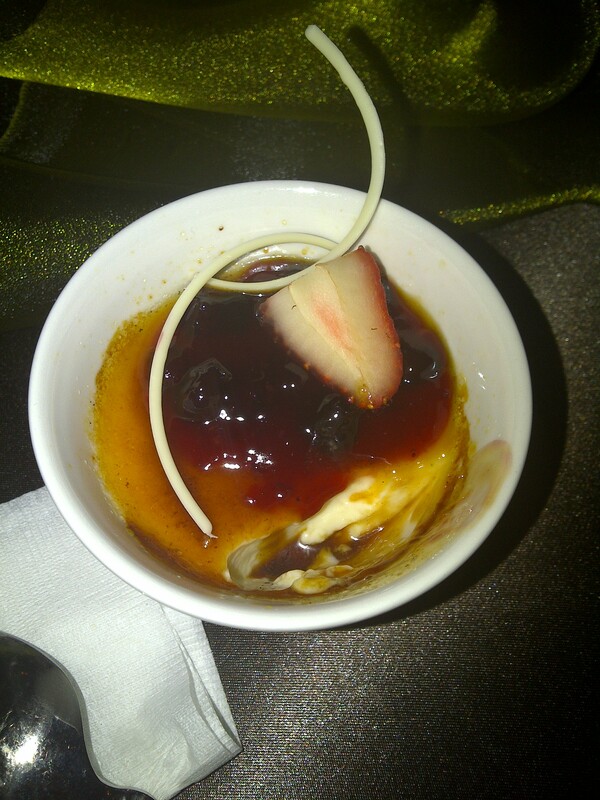 The sauce is not overly spicy as the jalapeños are balanced by the honey to mellow the heat. While grilling, the sugars in the marinade caramelize into a sweet glaze enveloping the rib eye as the fat renders all around and crisps around the edges nicely. Add pan-fried potato gnocchi and tender crisp veggies and you have yourself a real steak dinner. 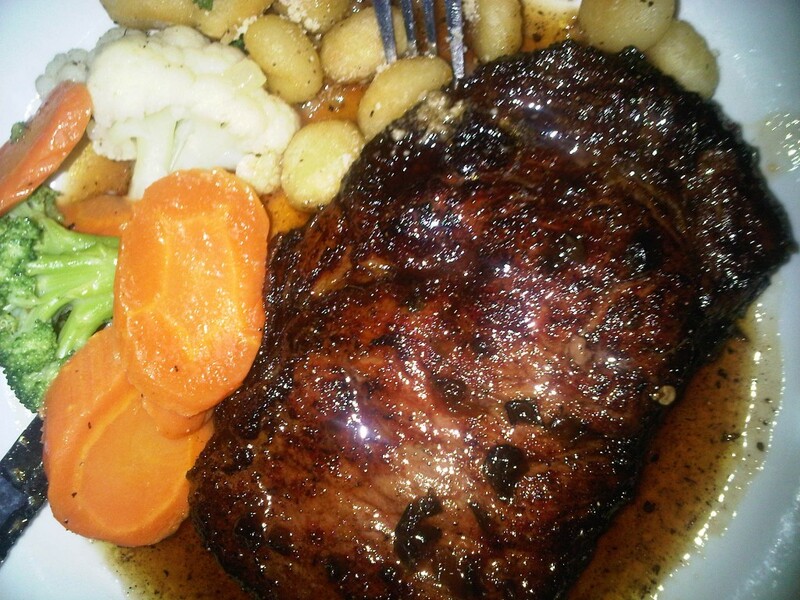 The gnocchi, I would recommend an extra side order of to dip the sauce your steak leaves behind. As you cut into your first bite of steak it is tender to the touch. As this bite makes contact with your tongue the fat and sugars sizzle and melt into a delicious blend of happiness that evolves with every chew. As the tender bits of morsel pass, you are left with a bit of heat from the sauce which sets off the brain to repeat this process. When you awake from this temporary food stupor you realize the steak is gone, the vegetables are gone, and all that remain of your gnocchi are bits of parmesan cheese and chives. If you must make a steak your last, make it this one. Pair it with the Italian Chianti and enjoy thoroughly. Jason Fong is a former co-worker and long time friend. He is a real pork aficionado, particularly devoted to bacon and pork belly. A day hardly goes by without him suggesting new ways and methods to add bacon into every meal. 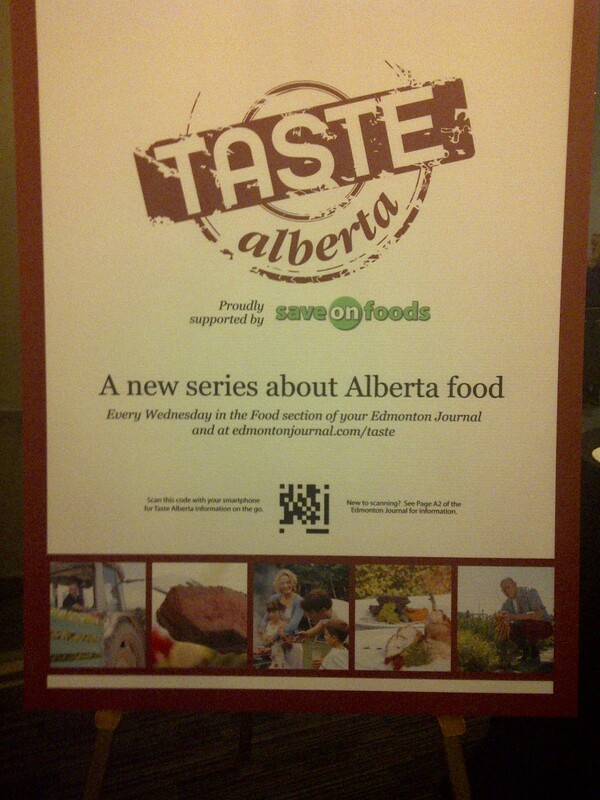 Yesterday, the Edmonton Journal introduced a new series in the Bistro section, Taste Alberta. 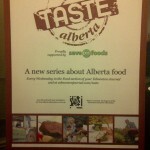 This is the first of many articles celebrating Alberta food. Their website aims to share the foundations of our local cuisine from where they are produced and processed, to where to purchase. I think the idea is fabulous. Alberta produce is underappreciated, and unheard of to most. There are too many big named franchise restaurants in Edmonton, and not enough small eateries that show off ingredients for what they are. If you ask anybody what local foods Alberta is known for, chances are the answer you will get, is beef. But we are a province of more than just beef. We grow delicious berries, produce great cheese, and farm wonderful chicken and pork. Turducken is the opening Bistro article for this new focal point. An ingenious conglomeration of duck, chicken, turkey, all deboned and stuffed neatly inside of each other. I once tried a Turducken many moons ago. It all started when I was, of course, watching Food Network (I cannot remember if it was Top 5 for Unwrapped), and there was an episode on holiday favorites. I jumped at the opportunity to wow my guests and ordered a Turducken online, costing me about $150. While it saved me a lot of cooking, and it was a great conversational piece, I did not find as moist as plain turkey. But seeing as it was many years ago, I am willing to give it another shot. Overall, it was an excellent evening with good food, a gorgeous view of the city, in the company of some very talented and passionate Albertans. Thank you Kerry, Liane, and Edmonton Journal for the invite and for a wonderful evening!